Luang Prabang is a UNESCO World Heritage Site filled with French architecture and culture that remain from Laos’ colonial past. As Laos’ top tourist destination, there is no shortage of places to stay. 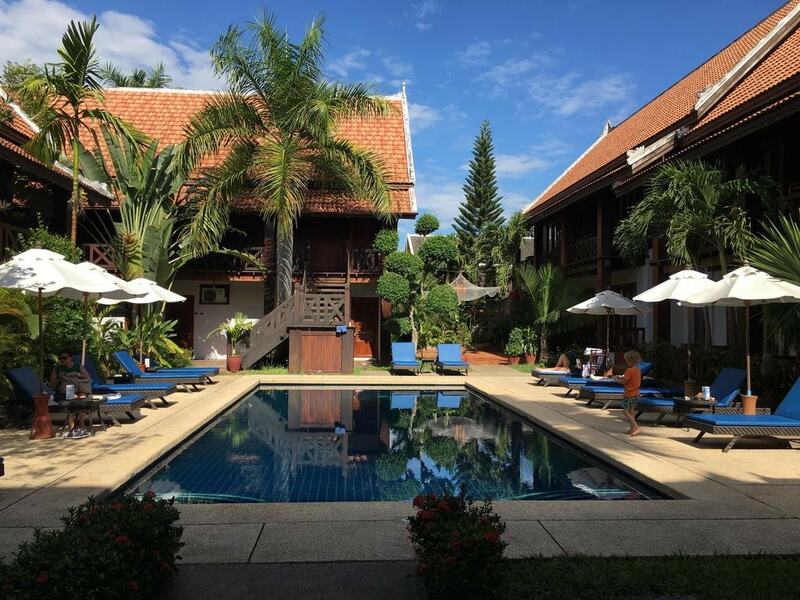 Check out some of the top boutique hotels in Luang Prabang. 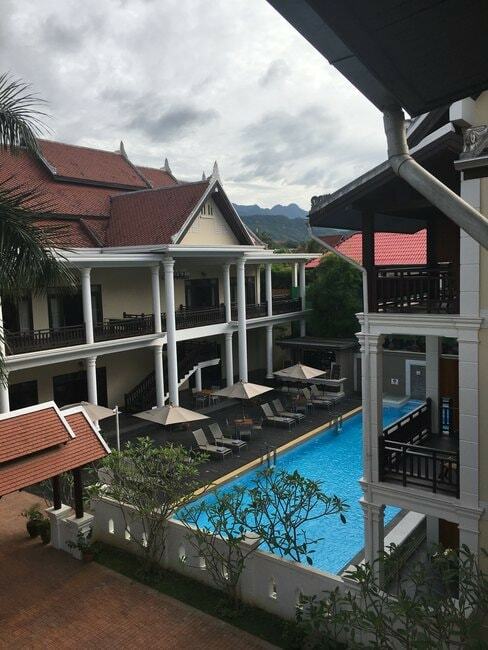 Jing Land Hotel is located up a hill near Mount Phou Si and offers guests a spectacular view of the natural beauty of Luang Prabang. The 12 spacious guest rooms are formal and tastefully designed. Hotel patrons feel more like house guests in a mansion than guests in a traditional hotel. Dine at one of the three restaurants on-site and swim in the pool. 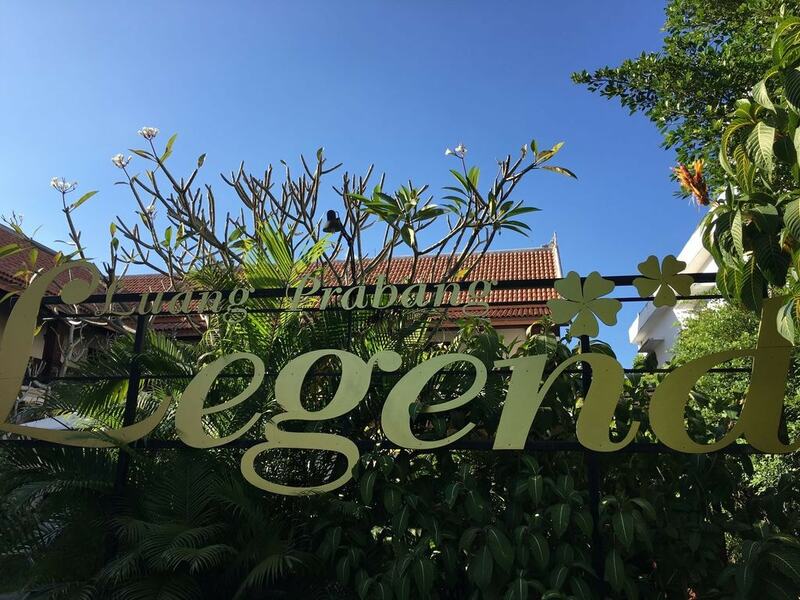 Legend Luang Prabang is an 18-room boutique hotel near the Dara Market. With charming coordinated rooms and big balconies, Legend is far enough away from the action to be a quiet respite, yet still only a 10-minute walk to the night market. 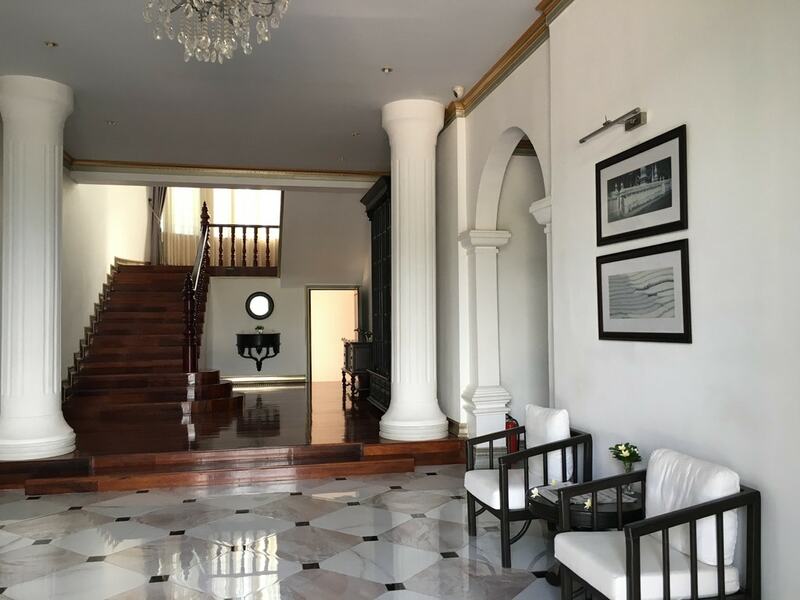 Maison Dalabua is in the heart of Luang Prabang, a five-minute walk to the Royal Palace. Forty rooms and suits are situated around a UNESCO classified lily pond. Guests enjoy breakfast at fine-dining establishment Manda de Laos, one of the top-rated restaurants in Luang Prabang that features a Norther Lao tasting menu as well as vegetarian and gluten-free options. The Royal Peacock Boutique Hotel has an attentive staff and superb location in the old town on a quiet side street near the Royal Palace. The gardens of this 17-room hotel are well-kept and free bicycle rental is available to pedal around town. Free childcare is offered to travelling families as well. Mekong Estate is located in a neighbourhood down an unassuming dirt road. This eight-bedroom boutique hotel is a 20-minute walk or 10-minute bike ride from the heart of down town. 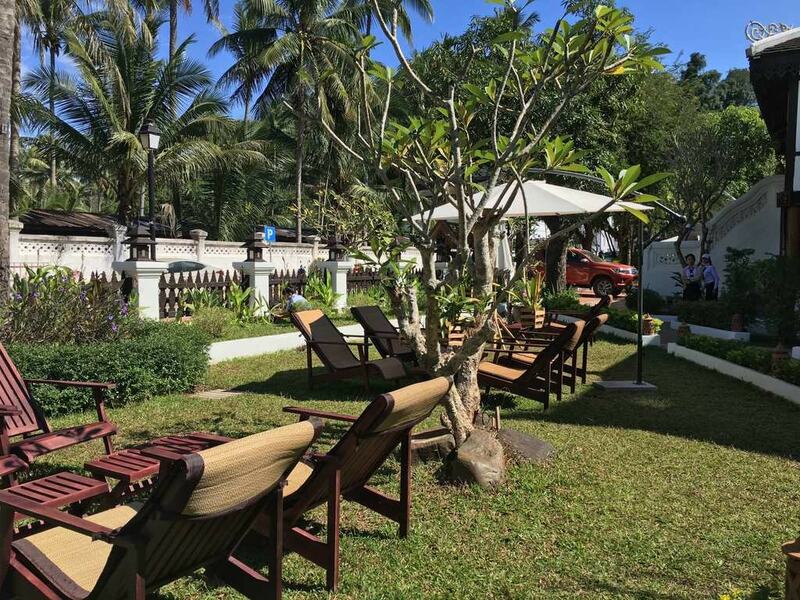 Hidden behind a white fence is a beautiful garden with tropical flowering plants and seating overlooking the Mekong River. An infinity pool affords unforgettable views of the surrounding mountains. 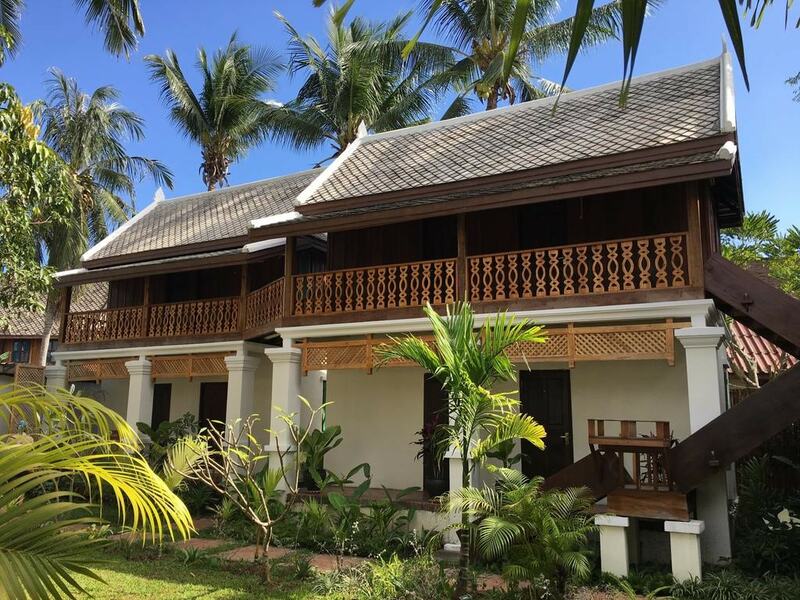 Sunset Villa by Burasari is a tiny, picturesque boutique hotel right on the Mekong River. 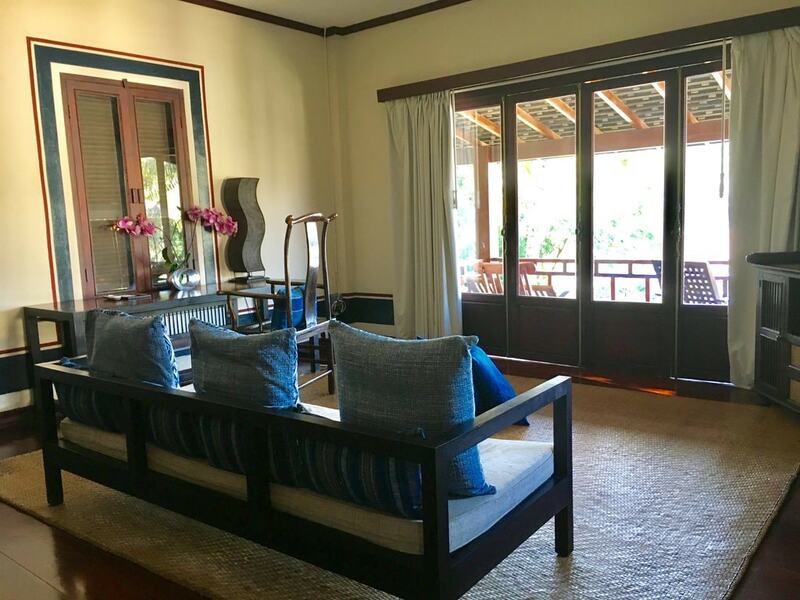 With four beautiful guest rooms styled with dark wood and traditional Lao textiles, this is a quiet oasis of relaxation and beauty. 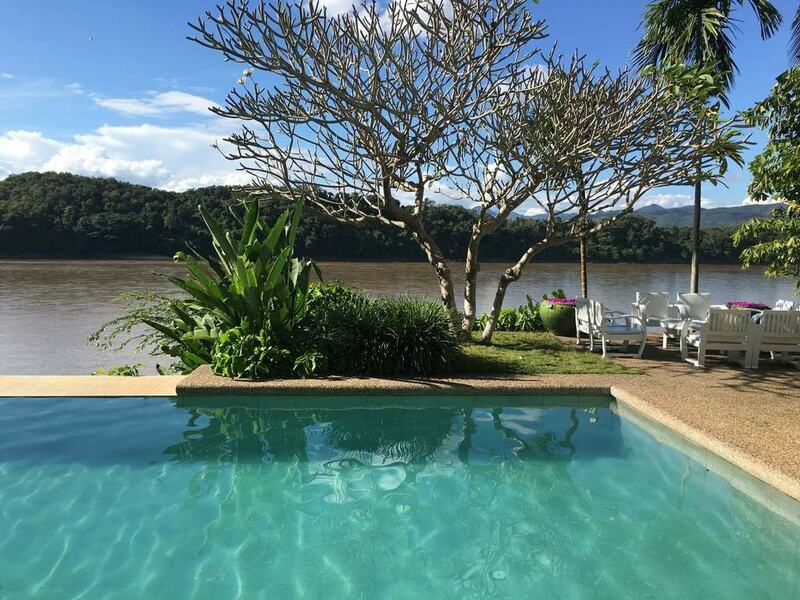 Watch the sun set over the mountains across the river and enjoy the scenery of Luang Prabang in luxury. The Sanakeo Boutique is a 33-room hotel with a large swimming pool, gym, and daily yoga classes for those looking for lots of activity. A sauna and spa offer a variety of massages and services. The rooms are spacious with balconies overlooking the courtyard and pool. Breakfast is included and happy hour is from 5 to 7 pm. 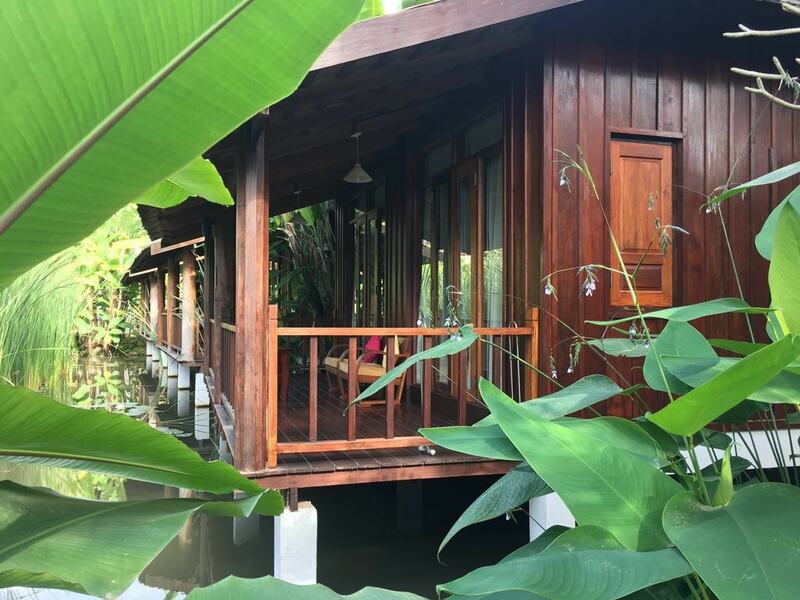 The staff offers impeccable service and Sanakeo is wheelchair-accessible – a rarity in Laos. Muang Thong Hotel is a hotel with an art-deco theme and beautiful outdoor pool. This 33-room hotel is in the heart of downtown and within walking distance to temples, restaurants, and shops. Davita Boutique Hotel is beautifully designed with funky modern bathrooms and bright green shutters in the multiple buildings with guest rooms on the premises. An outdoor restaurant and big balconies make Davita’s garden an ideal place to hang out. If you’re looking for a charming hotel but are travelling on a budget, Phonpheng Guest house is a quaint 25-room hotel that includes breakfast and wifi.